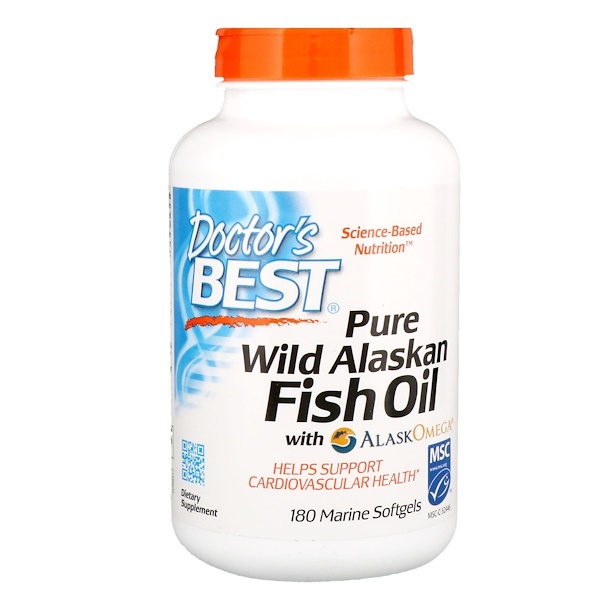 Doctor’s Best Pure Wild Alaskan Fish Oil with AlaskOmega contains concentrated fish oil from wild caught Alaskan Pollock. It is molecularly distilled for maximum purity and potency. This Alaskan Fish Oil provides 800 mg of EPA and 400 mg of DHA per serving. The Omega-3 fatty acids in fish oil support overall health and have been shown to benefit heart, joint, immune, cognitive, eye and skin health. Doctor’s Best Pure Wild Alaskan Fish Oil is sustainably caught, eco-friendly fish oil, that is certified by the Marine Stewardship Council (MSC). It is processed in the U.S., immediately after being caught on board the fishing vessel, resulting in a very low TOTOX (marker of freshness) value and thereby minimizing fish burps. Suitable for pescetarians. 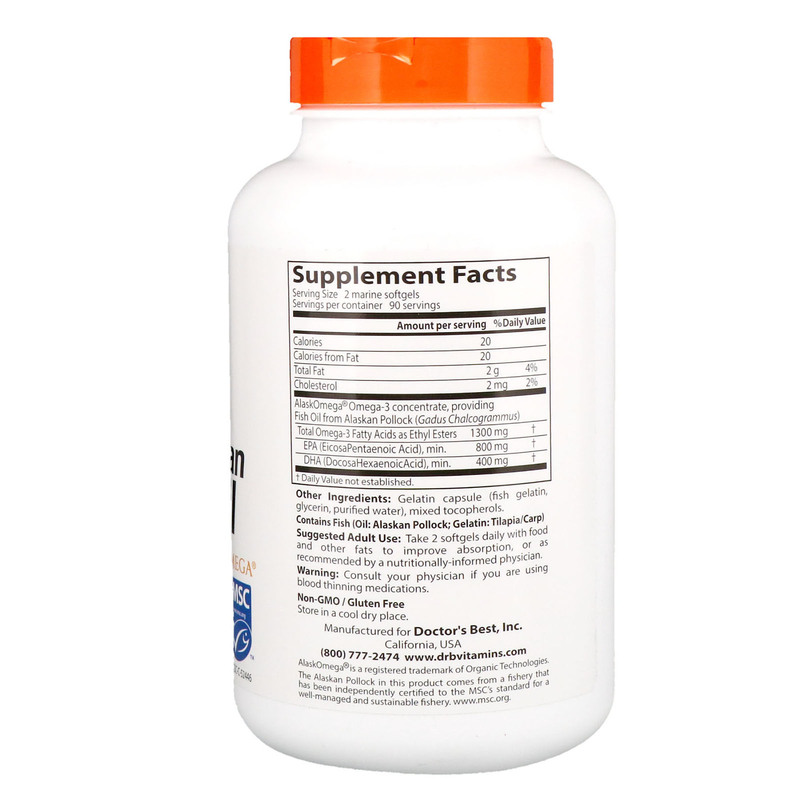 Helps normalize and regulate triglyceride levels that help keep the cardiovascular system healthy. Provides essential fatty acids, DHA and EPA, for eye and brain health. Wild caught in Alaska and processed in the U.S. Suggested Adult Use: Take 2 softgels daily with food and other fats to improve absorption, or as recommended by a nutritionally-informed physician. Contains fish (oil: Alaskan pollock; gelatin: tilapia/carp). Consult your physician if you are using blood thinning medications.